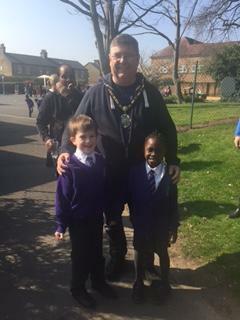 We were delighted to welcome the Mayor of Hillingdon to our school on Friday 29th March as he completed a marathon over 2 days. Our children waved and cheered him on as he walked through our grounds. We were delighted when he told us how lovely are children are and how we gave him the best welcome of all the schools he has visited! 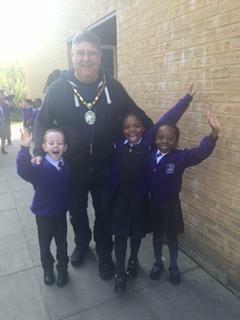 Lovely to see our children demonstrating our ethos of Love, Compassion, Respect.